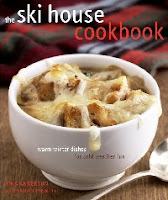 A) The audience is so tightly defined—skiers who cook (or who love people who cook). B) Its sales have a highly seasonal component. There’s no point in advertising this book in July (except perhaps in Chile!). And it makes a great wintertime gift book. C) While easy to define, the audience is spread across a wide geographic area. First stop: Google’s advertising arm, known as AdWords. (https://adwords.google.com/). Adwords sells the ads that appear on search pages, gmail and blogger. But other sites hire out their ad revenue to Google too. For example, Google is in charge of the advertising on MySpace, certain newspaper websites and other groups. The best thing about AdWords is that you can dip your proverbial toe into advertising. My “ad budget” on AdWords stood at $1 per day. If you set up a one month ad campaign, there is no way it will cost more than $30 plus a $5 activation fee. But there are a few terms you’ll need to know first. Google’s advertising is Pay-Per-Click. Google shows my little text-only ad on various sites, and once in awhile someone clicks on the ad. This is called a “Click Through.” Each click-through cost me money—at a rate determined by a lightning fast Google ad budget auction. But I’d set a maximum pay-per-click at $0.50. In other words, after I get two click-throughs on Google, my daily budget was usually maxed-out, and Google did not show my ad again until the next day. The clicks were driven to a website I created for the book. That site describes the book, and offers three ways to buy it. (IndieBound, Amazon, B&N). There is cover art, a list of national publicity hits for the book. (“As seen in Sports Illustrated, The Nest, USA Today…” etc.) I could also have chosen to drive traffic right to the purchase page on Amazon, but although efficient, I didn’t want to choose a vendor on behalf of my buyer. Looking at those numbers, you could make either case—my ad campaign was either a dismal failure or a smashing success. On the one hand, only 37 people clicked on the ad in a month. That is not the stuff on which best sellers are made. On the other hand, Google put the name and gist of my book in front of fifty five thousand people. And those people were all either searching or browsing ski sites—equipment vendors, aficionado sites, etc. All this geeking out in front of AdWords had me wondering about those pesty FaceBook ads. Could they be attainable? And better yet, I got to set specific parameters for who could see it. The ad only appeared to FaceBook users who were A) over 24 years old, B) speak English, C) live in the U.S. and, my favorite, D) listed “skiing” as one of their interests in their “info.” Eureka! At least when I paid for a click, that click belonged to a skier. I went into this little project hoping to increase the visibility of my book during the holiday shopping season. I was ready to declare victory if the total budget was under $100, and my sales ranking improved over last season’s. But here’s the fun part—I got Amazon.com to pay for some of my advertising. Remember when I told you I built the book its own web page? On that page, I put three links for purchase—one to Amazon, one to IndieBound, and one to BN.com. But I didn’t just want to link to the front page of Amazon, I wanted it to look good, and I wanted it to go straight to the “purchase page” for my title. Amazon runs an Affiliates Program, which pays website owners a cut for referrals. I “applied” for the affiliates program by filling out a few details directly onto my pre-existing Amazon.com account. Then I used their simple software to create links to my book’s purchase page. But this wasn’t just any link—it was a link that named me as the referring party. So I got 4% of the subsequent order. The groovy thing is that if someone uses your referring link, and then buys something other than your product, you still get paid! I earned—I swear to God—4% of a stranger’s purchase of the Twilight DVD, and of another stranger’s purchase of Super Freakonomics. And of course, several people bought my actual book. I did just the same thing for BN.com (which is run by the Google Affiliates Network) and at IndieBound. Neither of those vendors makes things as easy as Amazon does, unfortunately. I spent a total of about $57.00 to show my ads a total of 220,000 times. And I learned a ton. Unfortunately ad costs have risen quite a bit in the past three years. The same ad campaign run today would cost two or three times as much. But try playing around with the ad possibilities at Google & Facebook even if you’re not sure you want to spend the money. Tinkering is free, and the very act of designing your ad and choosing your target market is brain food. I guarantee you’ll learn something. Thank you for this detailed analysis. It is really helpful to see the numbers and strategies behind these ads. Wonderful!! I do Google ad campaigns for some of my clients but would you believe it never occurred to me to do it for my friend's book I'm helping promote... fun for me today! Thank you! Thanks for breaking this down -- this was a really helpful post. Very useful & informative post for anyone who is interested in internet advertising. You've done advertising on both Google and Facebook. You've summarized it extremely well. What I wish you had added was the total cost (or profit) of the advertising. If all you wanted was the impressions, then you did well for the cost. If you were looking for sales it would be nice to know your conversion rate (the number of sales divided by the number of visitors). I've probably done some things wrong because advertising with both Google and Facebook has never resulted in a positive net for me. The other good thing about associates links is that they can (depending on how you use them) tell you how many of those clicks converted to sales. Gene & Daring: you are right that conversions would add to the analysis. But I didn't track them, because A) theoretically some of the people who read the landing page may have bought this book elsewhere. I am of the belief that shoppers for something as tactile as a cookbook often need to see it in a store. And B) the true payoff not quantifiable by me. This is because the sale of units from any vendor goes toward earning out my advance at my traditional publisher. Thanks for clarifying all this. Really, it all seemed so mystical before. I'm one who reads about a book online, then buys it in a store. An ad works like a premium does (a bookmark, a magnet, a mug)--it gets the title and book cover and author's name out there. You had a fantastic return on your investment, in my opinion, just by getting all those impressions. Sarah, I was directed here by friend Rosemary. I'm glad I popped over. Thanks for sharing your experience. You made the steps easy for us techo challenged authors. IMO, you did fanastic with your ads.